Interested in working with me? Send me a note via my contact page. I collaborated with local Chicago artist Phil Thompson of Capehorn Illustration to write a blog on the Classic Chicago Three-Flat (check out more of his Chicago work here and his Instagram here). I collaborated with Will Quam, local Chicagoan and creator of Brick of Chicago, on a post showcasing some of Chicago’s varied bricks (you can also visit his website here). A collaboration with Cristiana Corrao of Nowhere Nevada brought a blog feature on Hard Luck Castle in Nevada. Deb Cohen, from The Front Door Project, and I collaborated on a blog featuring front doors in Connecticut. Check it out: Front Doors of Fall. I collaborated with local Seattle artist Amy Douglas and shared some of her pieces in a blog article, Preservation Meets Art. I worked with Neighborhoods.com during Open House Chicago 2017 to develop Instagram content in association with their self-guided walking tour. You can find me on the following social media platforms: Instagram, Twitter, and LinkedIn. 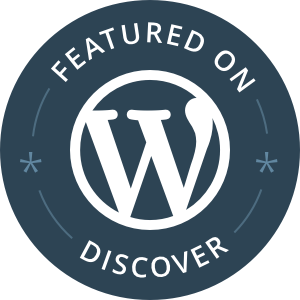 The Secret Knowledge of Spaces was featured on WordPress Discover in 2017. Featured on the National Trust for Historic Preservation’s 10 Preservation Instagrammers You Should Follow. What’s Not to Love About a Chocolate Factory?